We know that fashion and trend change every season, such as makeup, clothes, accessories, shoes and bags change every season. How could you cope and keep up with all these changes especially during the current slugging economy. 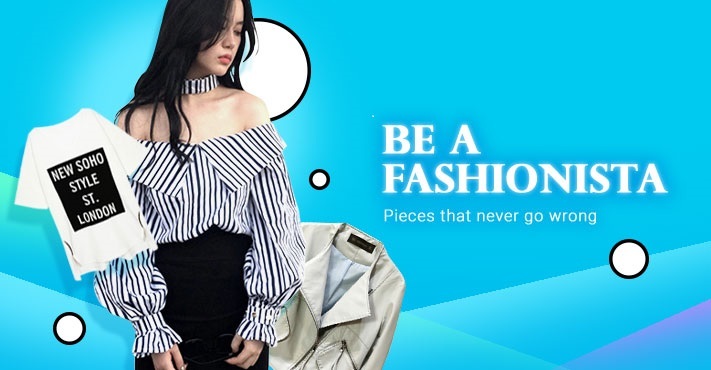 Be a wise fashionista and online shopper. Spend within your mean however you can still shop but go for those value buys. 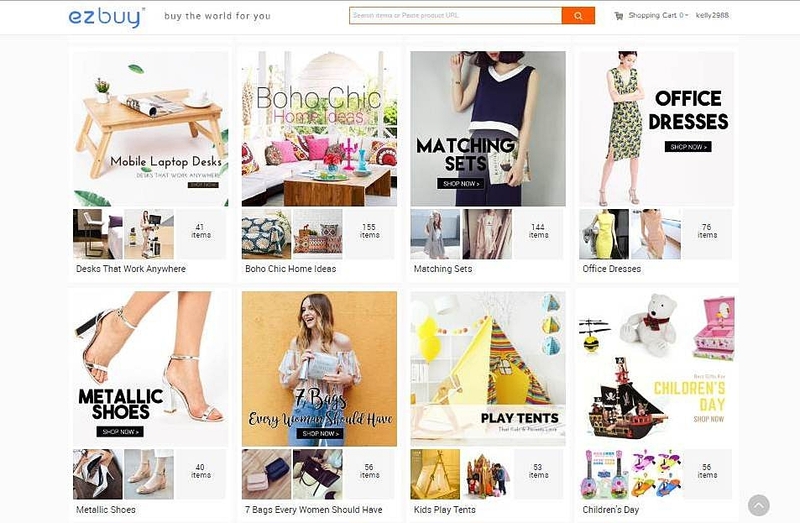 Online shopping is the best way to search and compare prices, products, promotions and many more including grabbing the best deals at your convenience. However not all the online shopping sites are user friendly, providing smooth navigation and have reliable vendors. I have encountered some hiccups and downside before. So today we are going to discuss about the pro and cons of online shopping sites. 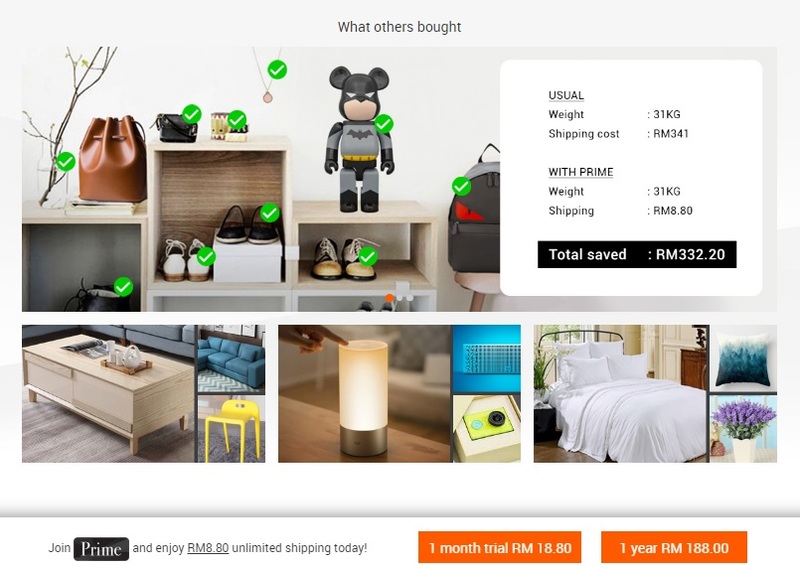 For this round, we have chosen ezbuy Malaysia verses Taobao. I am sure many of you know that you can find lots of products from Taobao at a very good price but transactions may not be as you think because of many factors. 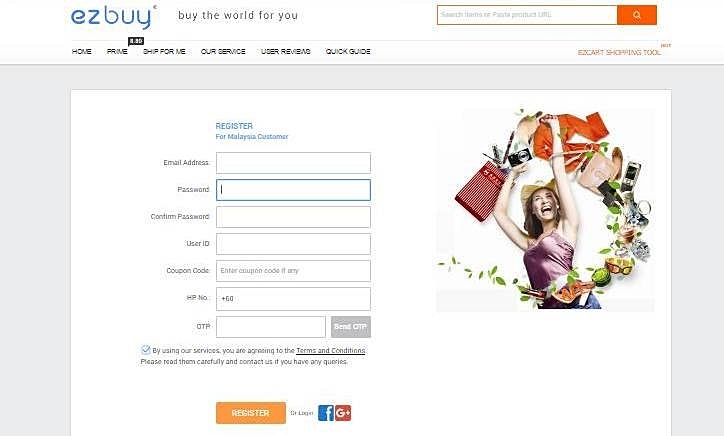 ezbuy a professional online shopping services and specializes in overseas purchasing, logistics and shipping. 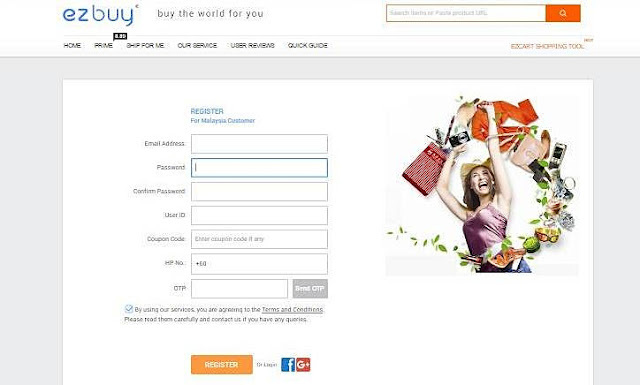 Now we can purchase products from via ezbuy with ease and hassle free. As you know Taobao is China online shopping site and it’s in mandarin. So not all of us understand mandarin including myself, it gives us a lot of uncertainty. 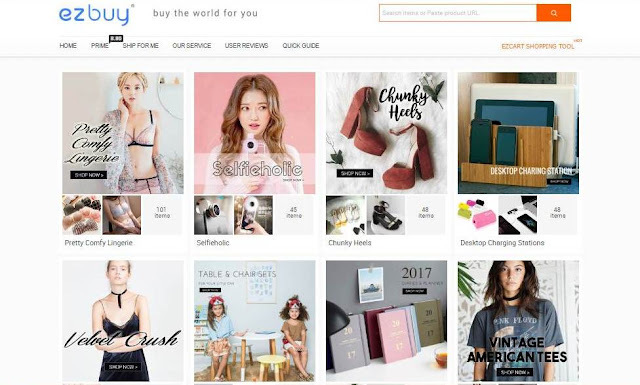 With ezbuy their website is translated to English, it may not be the best but at least I can understand and able to help me to find what I am looking for. In Taobao the payment is via AliPay and it’s difficult to sign up, I personally encounter especially during my 1st shopping experience with Taobao. When we use exbuy the payment gateway is hassle free and easy to sign up, just has to verify with the verification code sent to our mobile and the password we set. For Taobao there is no local customer service, there is no one to refer to when things go wrong or our order arrived incorrectly. With ezbuy, there is a local office here and contact person that we can get help about delivery, exchange and many more. 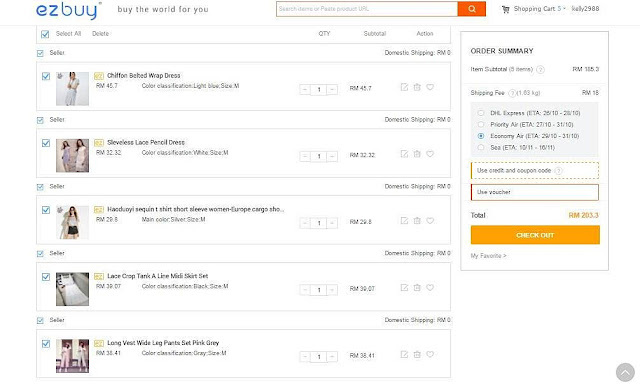 At Taobao sometime we encounter poor after sales service such as missing items from consolidate shipments. However with ezbuy we can always get after sales service from the local office for any wrong order, missing parcel or damaged goods. At ezbuy there are many products available at a good deal and price. Here are their best-selling item category, I like their matching set and office dresses. Let’s go and check out. 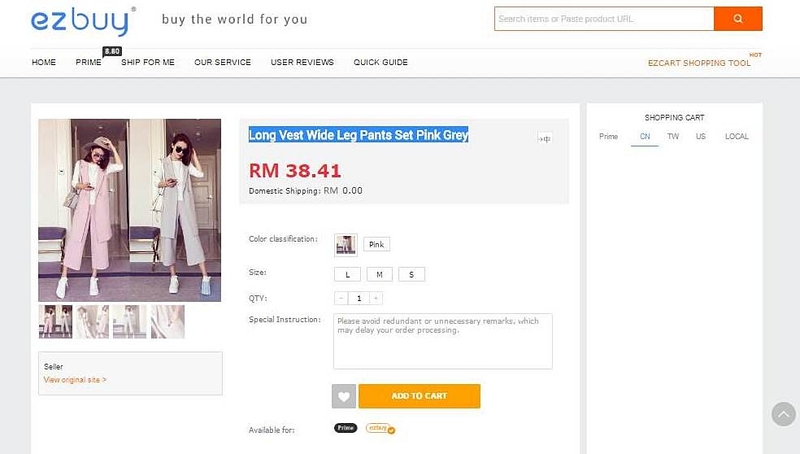 For example, I spotted a Long Vest Wide Leg Pants Set Pink Grey for only RM38.41, choose the size, color and quantity and add to my cart. 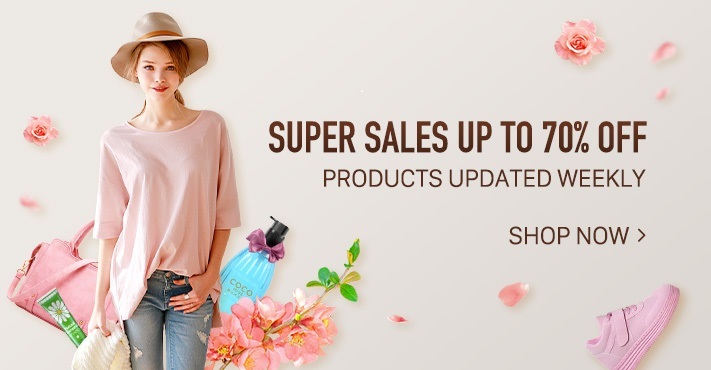 Then I continue to shop and then when I am done selecting the items that I want to purchase I go to my shopping cart to view my order summary and decide the ype of shipping and then press check out to purchase. 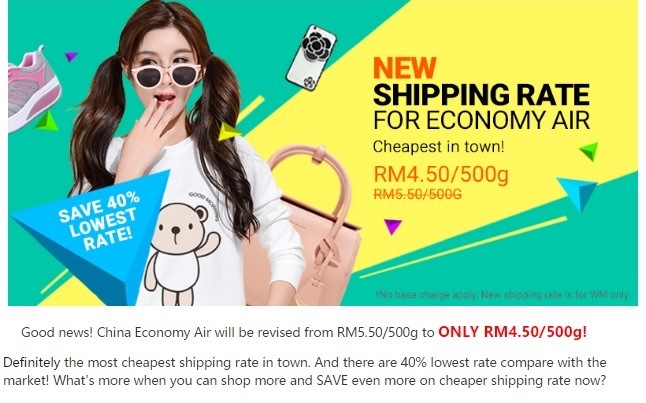 Ezbuy offer the lowest shpping rate @ RM4.50/500g with no agent fee. I have yet to try ezbuy...hehhehe but its true shopping at Taobao is like wishing for a death note sometimes... oh btw dear...at no.2 got typo "exbuy"
Been using ezbuy for 3 years now haha! Its like poison to me omg but at the same time I've saved so much thanks to them! I agree! Love that they have really good service man!